The language of genes has become common in the media. We know they make your eyes blue, your hair curly or your nose straight. We’re told that genes control the risk of cancer, heart disease, alcoholism or Alzheimer’s. The cost of DNA sequencing has plummeted from billions of pounds to a few hundred, and gene-based advances in medicine hold huge promise. There are 2.2 metres of DNA inside every one of your cells, encoding roughly 20,000 genes. These are the ‘recipes’ that tell our cells how to make the building blocks of life, along with all the control switches ensuring they’re turned on and off at the right time and in the right place. But rather than a static string of genetic code, this is a dynamic, writhing biological library. With the help of cats with thumbs, fish with hips and wobbly worms, Kat will unpack some of the mysteries in our DNA and explain the latest thinking about how our genes work. 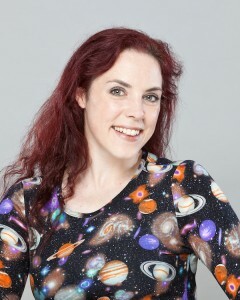 Dr Kat Arney is a science writer and broadcaster whose work has featured on BBC Radio 4, the Naked Scientists and more. She has just published her first book, Herding Hemingway’s Cats, about how our genes work. This entry was posted on January 21, 2016, 14:52 and is filed under Skeptics in the Pub. You can follow any responses to this entry through RSS 2.0. You can skip to the end and leave a response. Pinging is currently not allowed. I suspect that the date – at least the year – of this event is incorrect! Good point – fixed now!